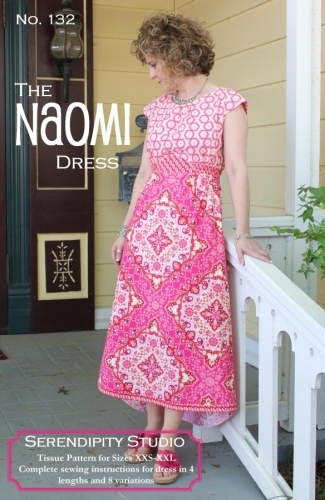 Bask in simple style this spring and summer with the Naomi Dress. 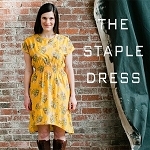 This dress is a simple pull-over design, so there is no pesky zipper to worry about! The bodice features three pleats at the front neckline, optional keyhole detail at the back neckline, and small cap sleeves. The elevated waistband has a curved center front with elastic that extends around to the back for an easy custom fit. The A-line skirt has the option to be longer in the back or layered in multiple fabrics. 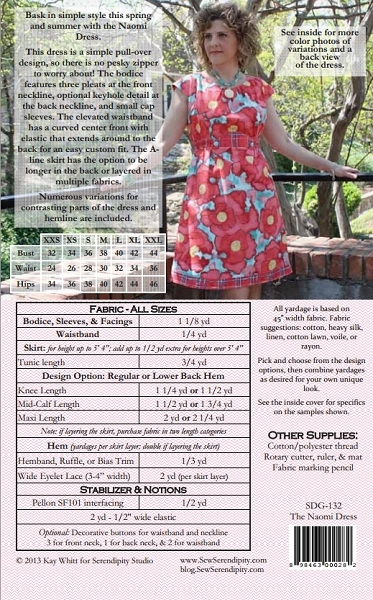 Numerous variations for contrasting parts of the dress and hemline are included.